Today's double feature features award winning and best selling author, Denysé Bridger. As an award-winning, best-selling author, Denysé Bridger writes about a multitude of things, always with a touch of romance, passion, and fantasy. Her heroes are solid, driven alpha men who are willing to do whatever it takes to win the heroine’s heart and trust, while her heroines are strong, emotionally courageous women who put their hearts on the line for the men they love. Passionate, honorable characters drive Denysé’s stories, in whatever genre you find them in. What if a life-changing letter arrived in today's mail? Now imagine it leads to love and adventure! From the northern British Isles, across the mainland of Europe, and on to Turkey, nine international romance writers share spellbinding love stories told across time. And each begins with a letter... This collection includes contemporary and historical romance, futuristic time travel romance, and romance touched by magic. 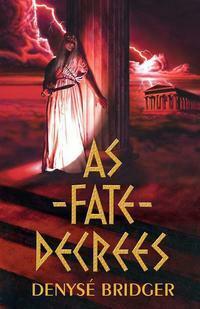 The gods of ancient Greece must find a mortal champion to defend their fate. In ancient Greece the young maiden, Amarantha, is captured and sold in the slave market of Athens. "What fates await?" she wonders. "And what divine design will the Olympian gods have for me?" As unexpectedly as she had found herself placed in chains, Amarantha finds herself purchased by a mysterious master who refuses to reveal his true identity. But he is no ordinary man, nor she an ordinary slave. Under her master's tutelage, Amarantha is trained as a fighter and challenged to prove herself in battle after battle until her skills are perfected and she is granted the right to know his true identity. He is Ares, god of war and the son of Zeus. And she is to become Champion to the gods of Olympus; bound forever to serve and vanquish all foes until the gods themselves grant her peace. But even gods are not immune to the fickle twists of fate, and Amarantha is soon ripped from her quiet resting place and cast through time itself to do battle with a modern day reincarnation of an old foe - a madman bent on rewriting history to suit his own twisted desire. She must act quickly to win this battle, for the fate of all Olympian gods hangs in a delicate balance between immortality and the realization that even the gods themselves may be returned to the dust from which they arose. Thanks so much, Kayelle and Nicole. Denyse, As Fate Decrees sounds wonderful. I love stories set in Ancient Greece and Ancient Rome. Great cover too. 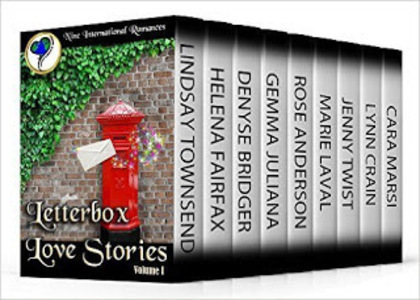 Loved your story in Letterbox Love Stories. Wonderful blog post, Denyse. Thanks for sharing and thanks to Kayelle for posting about the Letterbox Love Stories. Denyse ~ As Fate Decrees looks like an awesome book. Thanks, Lynn... Kayelle's blog is happening place, and I'm honoured she's helped us spread the word about our lovely boxed set! AFD was a fun book that took a long time to reach the public, but it was worth it! Can't wait to read As Fate Decrees, Denyse. Your stories are the best! Thanks for posting about Letterbox Love Stories here as well. Thanks so much, Gemma. I hope you enjoy AFD, and of course, we know the Letterbox Love Stories are all lovely reads!! Hey, Crystal - I so agree... Kayelle hosts so many awesome books it's hard not to go broke! !